Last week I briefly talked about colored trousers becoming one of the hottest menswear trends and showed you how to wear a red pant easily and casually. 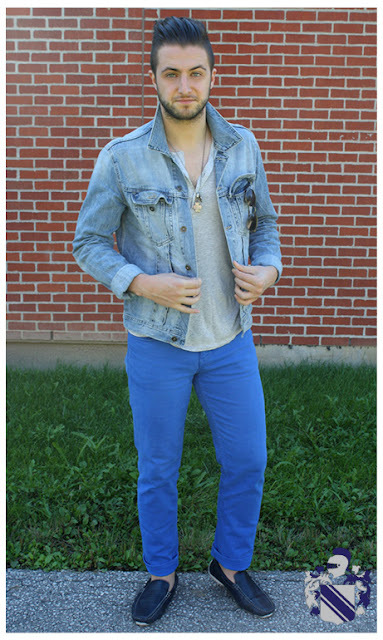 This week I decided to put together a look with another great colored trouser: royal blue! If you don't already know, blue has to be one of my favorite colors to wear. 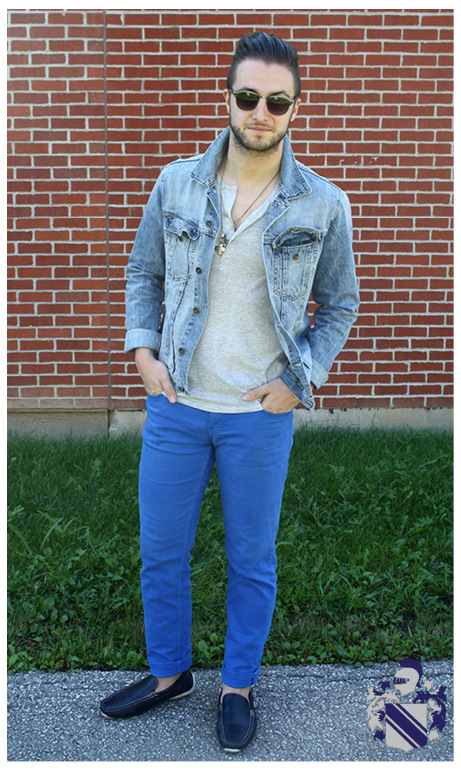 No matter the shade, blue always works in a monochromatic look and the color itself is quite masculine. 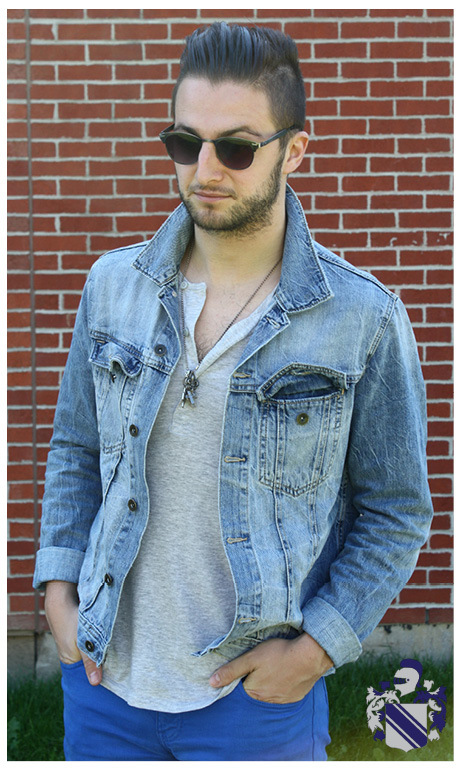 TIP: Beat up your denim! The great thing about denim is that it's a strong fabric that can withstand a lot of wear and tear. The more you wear it, the better it feels on your body and the more it takes on your shape. 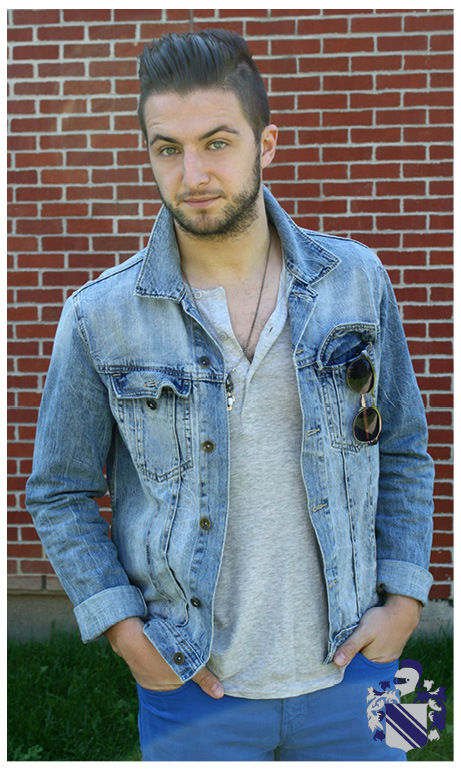 In my opinion, creases and fades give denim character and individuality, which always works with such a classic piece! TIP: Accessories are those little things that make a man's look unique. The key to finding accessories that work with your style is to just try them out. 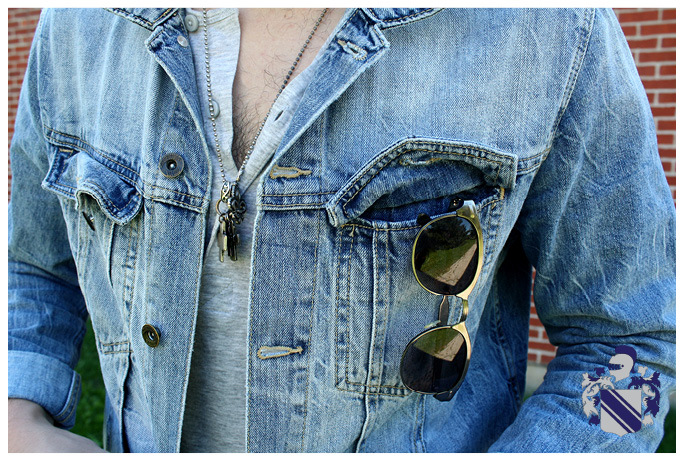 For example, I'm not a big bracelet wearer but I love vintage sunglasses and necklaces! TIP: Invest in blue loafers! 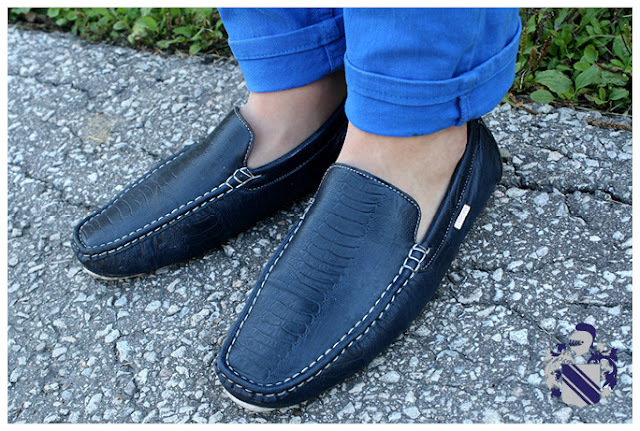 If you've read some of my past posts, you should be quite familiar with my suede blue deck loafers. When I first bought them I thought of them as a shoe that would only work with casual wear. As I've tried them out with different looks, they've become my favorite shoe because of their versatility. I love them so much that I bought the blue snake skin pair above! 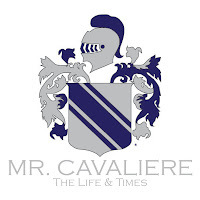 Like Mr. Cavaliere on Facebook! Copyright © 2012 Mr. Cavaliere.All rights reserved. Awesome Inc. theme. Powered by Blogger.